I few years ago my wife and I took a road trip. We stayed one night at the Canyon Cove Resort in Nasugbu, Batangas on the way to Mindoro. The room was ok, but the pool was fantastic. 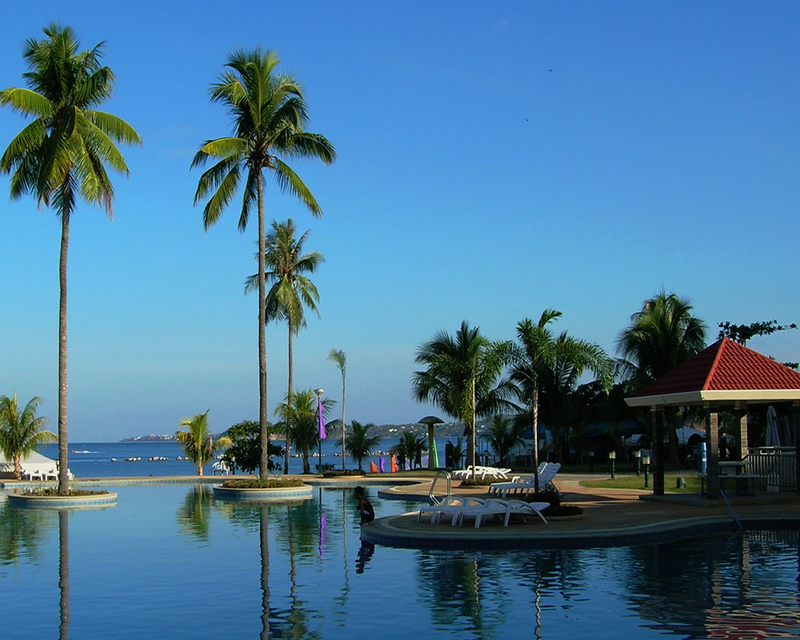 Get a look at pool with the coconut trees on the little islands. No worries about a hard coconut hitting your head management keeps trees trimmed of all fruit. As you look beyond the pool you can see some rocks protruding above the water. There is a reason for that, the rocks protect a very nice little coral reef. I went snorkeling for one hour. Assume experience. The pool at Canyon Cove. This entry was posted in Photo of the Week and tagged Batangas, Canyon Cove, Coconuts, coral reef, Nasugbu, Philippines, pool, resort, snorkeling. Bookmark the permalink.